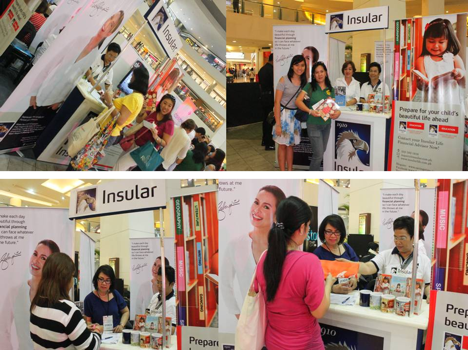 Filipino life insurance company Insular Life warmly greeted mothers on May 11 at the Happy Mommy Wellness Weekend held at the Trinoma Mall in Quezon City. Moms and their families celebrated Mother’s Day with an afternoon of fun through wellness activities, games and entertainment. Keeping in mind that mothers are usually the household’s finance managers, and want only the best for their children, Insular Life Financial Advisers, who are also moms themselves, readily and eagerly gave savings options to parents who are planning on preparing early for their child’s education needs. Disciplined savings, flexibility of withdrawals, fund growth and the child’s continuous education should anything happen to the parent are among the features offered by Insular’s education packages. For more information on these, call (02) 582-1818 or visit Children's Education Fund.